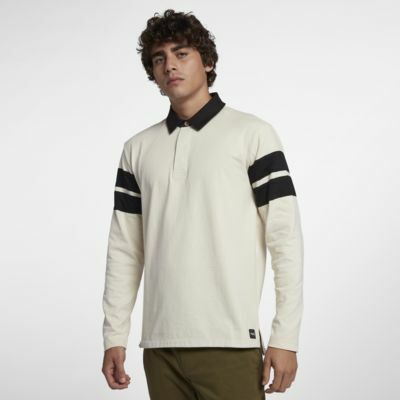 The Hurley Rugby Men's Long-Sleeve Polo features blocking details on heavyweight cotton for a unique look to layer or wear on its own. HEAVYWEIGHT FABRIC, MADE TO LAYER. The Hurley Rugby Men&apos;s Long-Sleeve Polo features blocking details on heavyweight cotton for a unique look to layer or wear on its own. Have your say. Be the first to review the Hurley Rugby.